These sites develop neurosensory training products that maximize human potential drawing from over 30+ years of clinical experience with advances in neuroscience, music, acoustics, and brain research.Listening to psychoacoustically modified classical music can actually impact a wide range of abilities, such as reading, communication, learning and memory. Numerous studies worldwide, including research at the University of Sheffield, provide empirical evidence that substantiate The Listening Program’s efficacy. The Listening Program’s psychoacoustically modified music and patent-pending production techniques are designed to stimulate, or “exercise” the different functions of the auditory processing system. This enables the brain to better receive, process, store and utilize the valuable information provided through the varied soundscapes in our lives such as music, language and the environment in which we live. This is a very informative website about the subject where you will have access to: a growing collection of how-to articles; a personal video coaching library on the most pressing topics; downloadable checklists and special reports; a members only discussion forum for support and accountability; interviews with real people who have personally overcome ADHD and their challenges; interviews with experts on the topics you need the most. Balance activities that incorporate increasing levels of difficulty on the Belgau Balance Board have the effect of constantly building and creating more extensive neural networks. Because the neural networks that are created in this process are the same ones that are responsible for the resolution and efficiency of the brain's visual, auditory, motor, and sensory processes, balance activities improve the efficiency of the brain. For over 50 years, Frank Belgau has directed his attention to the effect of balance and the vestibular system on learning processes and to the development of the Belgau Balance Board and other equipment to address many brain processing problems such as: brain injury rehab, stroke rehabilitation, sensory integration therapy, or learning problems including ADD/ADHD, Dyslexia, Auditory Processing, Reading, Handwriting, or Poor Academic Performance. To learn more about how and why Balametrics’ therapies can improve the basic foundations of the human mind be sure to check out this website. Brain Gym® movements, exercises, or activities refer to the original 26 Brain Gym movements, sometimes abbreviated as the 26. These activities recall the movements naturally done during the first years of life when learning to coordinate the eyes, ears, hands, and whole body. The twenty-six activities, along with a program for “learning through movement” were developed by educator and reading specialist Paul E. Dennison and his wife and colleague, Gail E. Dennison who say that the interdependence of movement, cognition, and applied learning is the basis of their work. Clients, teachers, and students have been reporting for over 20 years on the effectiveness of these simple activities. Even though it is not clear yet "why" these movements work so well, they often bring about dramatic improvements in areas such as: Concentration and Focus; Memory; Academics: reading, writing, math, test taking; Physical coordination; Relationships; Self-responsibility; Organization skills; and Attitude. Optometric phototherapy is the branch of ocular science dealing with the application of selected light frequencies through the eyes. It has been used clinically for over 70 years in the field of optometry with continued success in the treatment of visual dysfunctions, including strabismus (eye turns), amblyopia (lazy eye), focusing and convergence problems, learning disorders, and the aftereffects of stress and trauma. 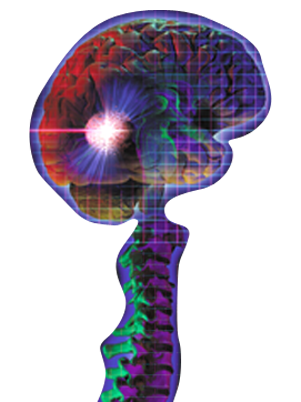 In recent years, Syntonics has been shown to be effective in the treatment of brain injuries and emotional disorders. Just as your body needs a workout to stay in shape, so does your mind. Designs for Strong Minds™ maximizes intelligence by making participants aware of the ways in which they think. Since 1983, Donalee Markus and her Designs for Strong Minds™ associates have been maximizing intelligence for individuals and corporations throughout the U.S. An innovative program of exercises, Designs for Strong Minds™, uses game-like, content-free exercises to filter out emotional influences, allowing the participants to work solely on skills. Dr. Markus has designed programs for children, adolescents, professionals, and aging adults. Her approach has had tremendous success working with individuals who have suffered traumatic head injuries. In addition, she was selected to design a program for NASA's Critical Thinking Skills Project. Be sure to check out Donalee Marcus’ app for iPhone and iPad for only $1.99 – “Strong Mind Puzzles” at the iTunes store – an excellent way to keep a fit brain. EFT and http://www.masteringeft.com/ and http://www.PatsTreasureIsland.com with Dr. Patricia Carrington Based on impressive new discoveries involving the body's subtle energies, EFT has been clinically effective in relieving Trauma & Abuse, Panic & Anxiety, Fears & Phobias, Depression, Addictive Cravings, Children's Issues and hundreds of physical symptoms including pain relief, headaches, body pains and breathing difficulties. Properly applied, over 80% achieve either noticeable improvement or complete cessation of the problem. ...Often works where nothing else will....Usually rapid, long lasting and gentle. No drugs or equipment involved. ...Easily learned by anyone....Great self help tool. The goal of EMDR therapy is to process completely the experiences that are causing problems, and to include new ones that are needed for full health. "Processing" does not mean talking about it. "Processing" means setting up a learning state that will allow experiences that are causing problems to be "digested" and stored appropriately in your brain. That means that what is useful to you from an experience will be learned, and stored with appropriate emotions in your brain, and be able to guide you in positive ways in the future. The inappropriate emotions, beliefs, and body sensations will be discarded. Negative emotions, feelings and behaviors are generally caused by unresolved earlier experiences that are pushing you in the wrong directions. The goal of EMDR therapy is to leave you with the emotions, understanding, and perspectives that will lead to healthy and useful behaviors and interactions. Cara Lindell has created a program that can affect essential developmentally based neuromuscular patterns which can result in predictable, long-lasting changes in coordination, sensory processing and cognitive processing. Not only does coordination change from improvements in stability, but profound changes are seen in sensory processing and cognitive skills. Parents report changes in spelling, reading, math, visual processing, attention, social skills and self-confidence. Hands-On-Health is an international consulting team of licensed physical therapists, doctors and allied health professionals with over 30 years of experience EACH. They provide a broad variety of gentle, effective MANUAL treatments to children and adults. They give FREE evening health talks and they sponsor state-approved education courses to health professionals. HeartMath LLC is dedicated to improving health, performance and well-being at home and in the workplace. We provide products and services that enable people to transform stress, better regulate emotional responses and harness the power of heart/brain communication. Geary is a spiritual healer utilizing a variety of techniques, including the principles of Chinese Energetic Medicine with Acupuncture and Qigong. Geary's approach values all religious and spiritual beliefs, and is based on the combination of focused intention and connection to Spirit, along with the subtle energy and innate healing potential of the person being treated. Combining energy and manual therapies along with recommending proper nutrition, exercise, and natural and organic supplements , Denise Schwartz will help you make a healthy recovery. Developmental Optometry / Sensory Integration; Dr. Deborah Zelinsky O.D. Vision is affected by changes in the nervous systems. The Mind-Eye Connection measures sensory integration – how auditory, visual, balance and motor pathways interact with the mind and with each other. Diagnostic and Consultation Services are available to provide patients with a bigger plan for Autism, Allergies and Chemical Imbalances, Brain Injury, Central Auditory Processing Disorders (CAPD), Dyslexia, Electrocution Survivors, Head Trauma, Macular Degeneration, Pervasive Developmental Disorder (PDD), Perceptual deficits resulting from Strokes, Punctal Plugs for Dry Eyes. Dr. Zelinsky is a genius at getting to the root causes of things. Mind Alive Inc. designs and manufactures a series of Audio-Visual Entrainment (AVE) devices used worldwide and proven effective as a non-drug approach to treating chronic pain, fibromyalgia, insomnia, PMS and Attention Deficit Disorder as well as increasing creativity, improving sports and peak-performance. AVE technology has gained popularity because it has been proven to be a quick, yet safe and effective alternative to many pharmaceutical approaches. Neuroquest, Ltd., is a psychotherapy and neurotherapy clinic, specializing in the treatment of various neurological and psychological disorders. The services provided are Quantitative EEG Assessments (QEEG), Neurotherapy and Low Energy Neurofeedback (LENS), and Z-Score Training. Power in Motion - Advanced Rehabilitative Medicine. Power In Motion Rehabilitation Services stands out in an emerging field of Advanced Rehabilitative Therapies(ART)® as one of less than two dozen clinics in the United States today, that specialize in Integrative Manual Therapy (IMT)™ for the effective treatment of the adult and pediatric populations. IMT's ™ approach to the care and treatment of the adult and pediatric population is a multiple philosophy approach to reach the orthopedic, neurological and medical patient. Our Team Oriented "Listening" Therapists' field of expertise is in the pursuit of possibilities, not problems. Healing and recovery at times, requires intervention from a variety of specialists. Collaborating with physicians and complimentary skilled practitioners, a proactive team approach is created to evaluate the source of your pain or illness. Every component of an injury or ailment is analyzed from the musculoskeltal condition, to the evaluation and identification of the insidious effects that jobs, stress, lifestyles and nutrition play in the ultimate picture of well being. Prevention and Wellness Center, Inc.
Medical Massage and Bodywork, Therapeutic and Rehabilitative Exercise, Chiropractic Adjustments combined with Joint Mobilizations, Spinal Pelvic Stabilizers/Orthotics, Hyperbaric Oxygen Treatments, Nutritional Consultation, Home Therapeutic Exercises, Ergonomic assessments & recommendations, Proprioception & Balance Evaluation, Gait Analysis , DOT Physicals, Drug Screenings, Paternity and DNA Testing, Hair Analysis for Trace Metals, Spirometry and Resting EKG. This is an excellent place to learn about the brain in simple terms. Children's Vision offers a great explanation of how vision affects reading, comprehension, learning and memory. This Parents' Guide is designed to give you enough information about visual development so you can make intelligent observations, and know when, where and how to help your preschool child. The Parents' Visual Development Checklist for Preschool Children, on the same website, can help you know where a child is on the scale of developing necessary visual skills. Teaches about visual perception, Magic Eye 3D, stereograms and provides a wealth of information about pediatric vision care. This site provides information and resources for people who having difficulties with their vision following a brain injury. Brain injuries can come in many forms such as.Traumatic Brain Injury; Mild Acquired Brain Injury; Mild Closed Head Injury; Post-Concussive Syndrome; Cervical Trauma Syndrome; Post Traumatic Vision Syndrome; Stroke; Cerebral Palsy; Cerebral Vascular Accident. Excerpts from an article by Donald J. Getz, OD, FCOVD, FAAO. Excellent recap about children's problems with reading, learning, and behavior caused by convergence insufficiency, eye tracking problems, esophoria, exophoria, and other visual problems. Ginni Selle, MS, Phd, practices Integrative Wellness and specializes in Energy Medicines, Family and Systemic Constellations, and Energy Nutrition applications for individuals as well as groups. She facilitates healing on all levels: physical, emotional, mental and spiritual, and is a national lecturer on Consciousness. Long before the term “integrative medicine” became popular– the focus of Judith Perlman’s life and work has been to help herself and others to achieve a state of mental, emotional, physical, and spiritual well-being by integrating the wisdom of both Western and Eastern medical sciences and philosophical beliefs. Dr. Perlmutter and his staff rely upon a variety of complementary health techniques including vitamin therapy, nutritional supplementation, herbal preparations, massage therapy, EDTA chelation therapy, and others to provide a comprehensive,fully integrated treatment plan specifically designed for the needs of the individual. His book Dr. Perlmutter's The Better Brain Book, according to Andrew Weil, MD “ is the first book I've seen that addresses all the factors that can influence brain health for better or worse, and that gives you detailed recommendations for dealing with them." This unique and brilliant book explores the physical basis of learning difficulties, Dyslexia, Dyspraxia, Attention Deficit Disorder (ADD) and Attention Deficit Hyperactive Disorder (ADHD) with particular focus on the role of abnormal reflexes and the effect upon subsequent development. Sally explains how the reflexes of infancy (primitive and postural) can affect the learning ability of the child if they are not inhibited and integrated by the developing brain in the first three years of life. Each reflex is described together with its function in normal development, and its impact upon learning and behavior if it remains active beyond the normal period. Simple tests for the reflexes that are crucial to education are described together with suggestions for suitable remedial intervention. The effect of abnormal reflexes on balance and sensory processing is also described. A brief history of how current methods of intervention designed to correct abnormal reflexes have evolved and a summary of some of the relevant research in the field are included. This book is essential reading for parents, teachers, psychologists, optometrists and anyone involved in the assessment, education and management of children and their problems. It explains why certain children are unable to benefit from the same teaching methods as their peers and why they remain immature in other aspects of their lives. Relax4Life Center is located on 5 private wooded acres in Barrington, Illinois. The Center provides a number of products, workshops and services that assist in personal growth and healing processes. The 1000 square foot space is available for rent for individual workshops and seminars. Uniquely specializing in numerous neurodevelopment theoretical frameworks; including sensory integration (SI), and neurodevelopmental treatment (NDT), and as the original Tomatis provider in the Midwest, Lillian Chen Byerly, OT provides individualized therapy programs which integrate traditional with current theoretical practices utilizing a holistic approach. Lillian has Specialty Certificatons that single her out as truly holistic in her approach: Certified, Sensory Integration Praxis Tests (SIPT) #5181; Certified, Pediatric Neurodevelopmental Treatment (NDT) #BC-1406-90; Early Childhood Intervention Provider Credential #LC29830899P; Certified Provider for The Listening Program (TLP); Sole Certified Tomatis Center and provider in the Midwest; Interactive Metronome (IM). Judi Arbetter has provided spiritual counseling and energy work for over 30 years. Located in Chicago, Northbrook and Bend, OR, Judi receives rave reviews for her outstanding work. Contack Judi at stillpnt@mac.com. Her specialties include Family Practice, Internal Medicine, and Infectious Disease integrated with Traditional Chinese Medicine, Acupuncture, and Herbal Medicine. These online psychological tests are for your entertainment and possibly educational use only and do not replace in any way a formal psychiatric evaluation. Remember for a diagnosis, you need to contact a licensed mental health professional. The Effexor Company offers a short quiz to identify if you are experiencing potential depression and anxiety symptoms. This self-quiz is not a formal diagnostic tool. It is meant to help identify potential depression and anxiety symptoms. Only a health care professional can actually diagnose depression. Other medical conditions may cause similar symptoms. Talk to your doctor.